Ice – in or out? 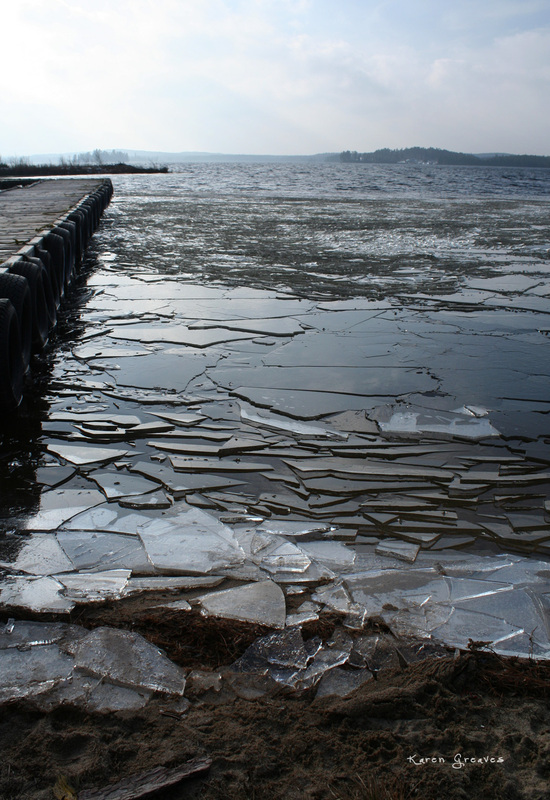 Agimak Lake had a skim of ice on its surface for two days. The air was calm and temperatures over night were below freezing. 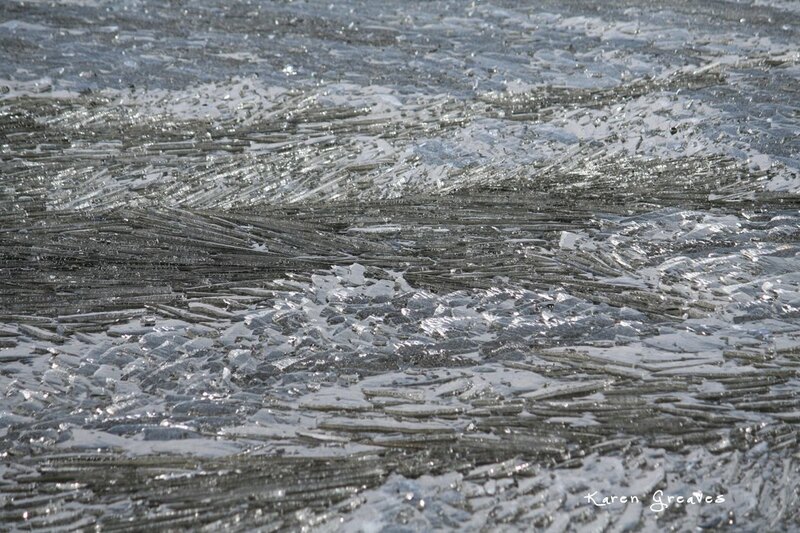 Then we had a strong south wind and the inch of ice broke up and piled up along the shore. The sound was like was tinkling glass. 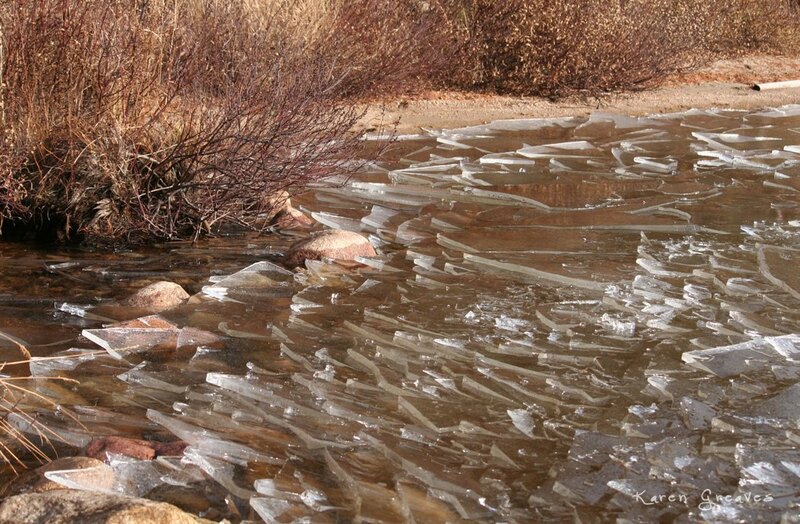 Waves created a chevron pattern in the broken pieces of ice. It really could have been a spring day.